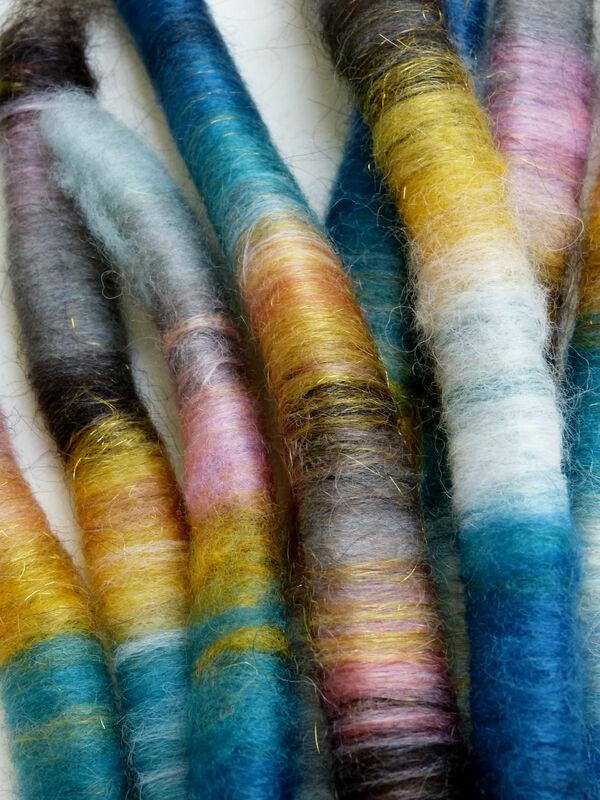 Creating colourful hand dyed supplies for knitters, spinners, felters & more. 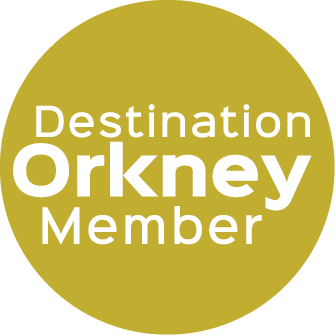 The Little Orkney Dye Shed specialises in hand-dyed wools and fibres, predominately from the local mill on the remote island of North Ronaldsay. Operating from her shed overlooking Stromness, the South Isles and the iconic Hall of Clestrain, birth place of artic explorer Dr John Rae, Pam Murray draws inspiration from the colours and textures of the surrounding Orkney countryside, as well as the flotsam and jetsam she comes across whilst walking the shoreline of Scapa Flow. 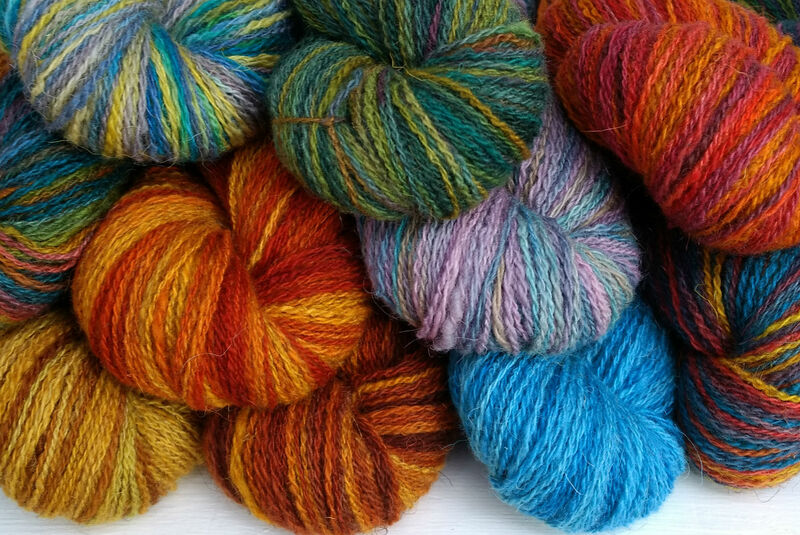 Complementing the wool from North Ronaldsay are UK sourced luxury yarns as well as the occasional home spun hank. 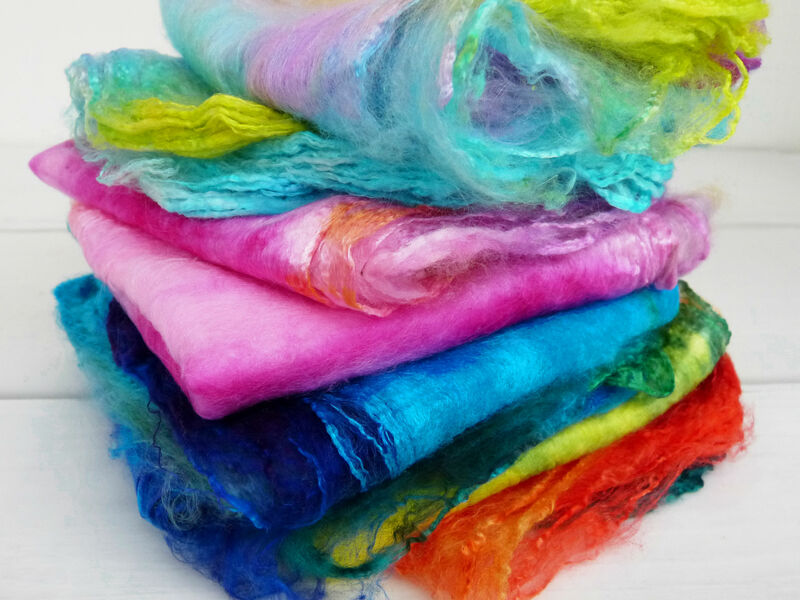 Pam also produces hand dyed silk hankies, rovings, rolags and a multitude of mixed packs, comprising felt pieces, home spun wool and other fibres. 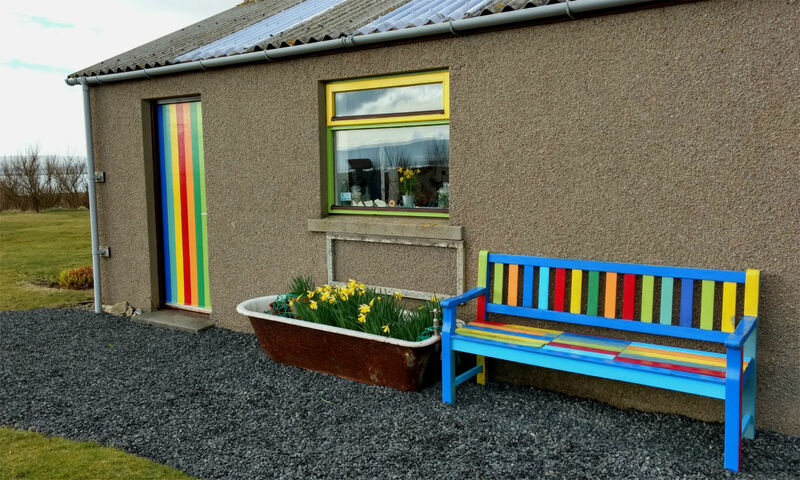 Her keen eye for colour is reflected in everything The Little Orkney Dye Shed creates with rainbow colours sitting comfortable amongst, and against, more muted tones. 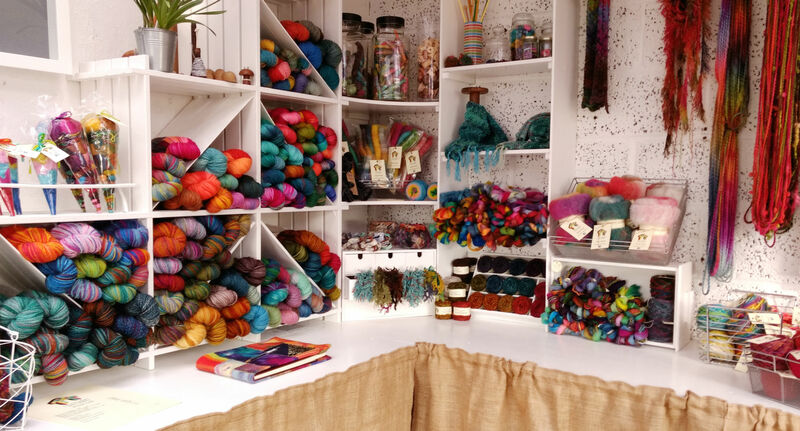 The small selling space, in what is primarily a craft workshop, is a feast of colour. 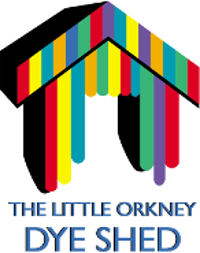 Products from The Little Orkney Dye Shed can also be found in The Quernstone, Stromness; Castaway Crafts, Dounby; The Woolshed, Evie and Orkney Tweed, Kirkwall.